"It’s a story artfully told and illustrated with rich historical detail." In 1999, at a monumental auction held at Sotheby’s in New York City, an eighteen-carat gold pocket watch delivered in 1933 shattered all known records when it was sold for $11 million. Secretly commissioned by the wealthy financier Henry Graves, Jr., the timepiece contained twenty-four “complications,” including a celestial chart over Manhattan. Considered the Mona Lisa of timepieces, it had been the coveted victor in a collecting duel that spanned three decades. 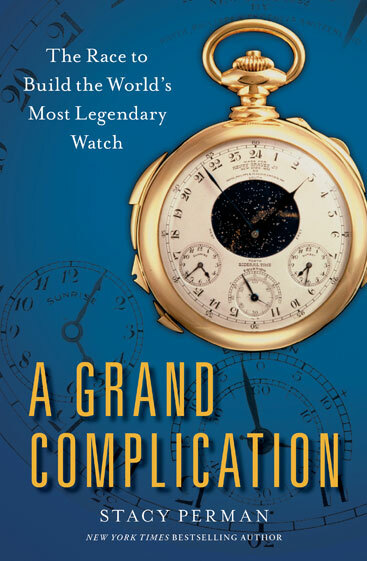 A Grand Complication takes us back to the early twentieth century to tell the incredible story of horological rivals: Wall Street and high society figure Henry Graves, Jr., and James Ward Packard, the brilliant inventor and automobile tycoon behind the elegant Packard Motorcar. These archetypes of American success went head to head, driving the finest watchmakers to boundaries of mathematics, astronomy, craftsmanship, and technology, all to win a personal race against time. With fascinating historical details that recreate the rich lives of these players and their families, Perman transports us from the clubby world of New York high society to the birth of the American auto industry and its apogee of style in the Packard line, and into the ateliers of the greatest Swiss watchmakers. Theirs is the story of consuming passion, money-fueled epochs and economic collapse, the obsessive world of watches, and how it influenced the expression of wealth and luxury through gadgets and toys that have become symbols of status.